60 days.. still plenty of time.. Join the challenge now! Second Summer Countdown notice! You have plenty of time ... Join the challenge! Two more months until summer! you still have plenty of time to get your body fit. If you are to get yourself ready for summer, you should join this challenge now. In order to get ready for summer, in last month Slim down challenge - step 1 we introduced three concepts: how many pounds (kg) you want to lose?, the importance of motivation, and are those pounds (kg) enough for you?. If you did not have an answer to these questions we recommend you to go back to step 1 and try to answer those questions since are important for this second challenge we are gonna start now. Once you know the answers to the above questions, since most expert will agree that for an effective slim down challenge most focus should be given to food habits rather than exercise (the famous 30/70 ratio), this month we will work on the food challenge and next month on physical activity. 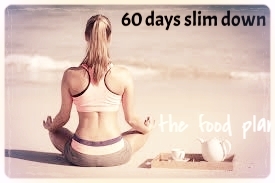 I hereby challenge you to join me now on this 60 days food challenge. Same as before, the rules for the 60 days food challenge are simple. First rule is choosing the right plan which has three options: a) by yourself-free option; b) by mobile apps PRO option; and c) by following a personalised food program. Second rule is tracking your results. After you read how to plan your food intake suggested above you should end up with a macronutrient chart like the one showed on the left side, by using Fitbit app/tool. This chart allows you to monitor if you are truly following the recommended nutrition break down guidelines for a successful weight loss. For less than $1 you can get an automatic food calorie plan and many other PRO features using our android app One Click to Health PRO. Same as free version but with many more features such as the calorie plan showed on the left. 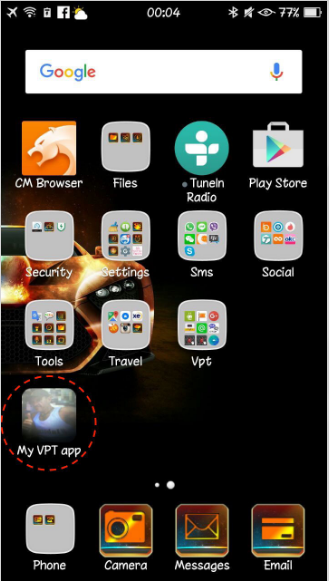 The ideal app for a successful long-term weight loss. 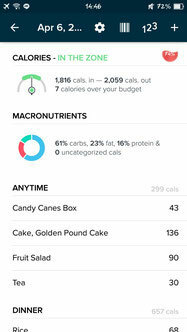 For $9.99 you can get an automatic personalized food calorie plan using our android personalized app. 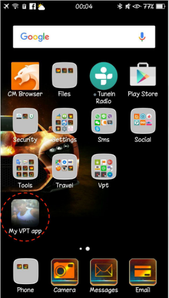 Same as One Click to Health PRO but with photo app icon, printed picture&name & quotes & your preconfigured details . Another ideal choice for a successful long-term weight loss. As you start getting your body ready for summer (losing weight) it is important that you keep track of your progress and, at the same time, you should keep adjusting your plan as you are successfully achieving your goals. As we already introduced at Slim down challenge - Step 1 and above, to facilitate weight loss interventions we have created "One Click to Health" both free and PRO versions. This app/tool calculates the healthiest weight for you, the one with more probability to remain in your body forever. 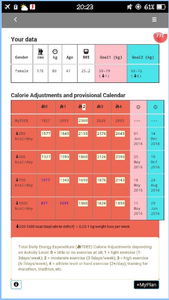 One Click to Health is also very useful for monitoring, backup and adapting your calorie charts as you making weight loss progress, as well as many other weight loss features. Alternatively, we also recommend you to use the Fitbit app for food login and monitoring, and meeting the recommended nutrition guidelines (read above). If you believe in yourself and you are brave enough to try, come on! 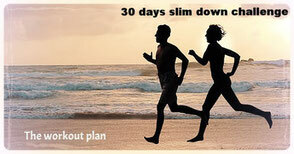 join this second step to slim down challenge now! What are you waiting for? 60 days countdown already started!